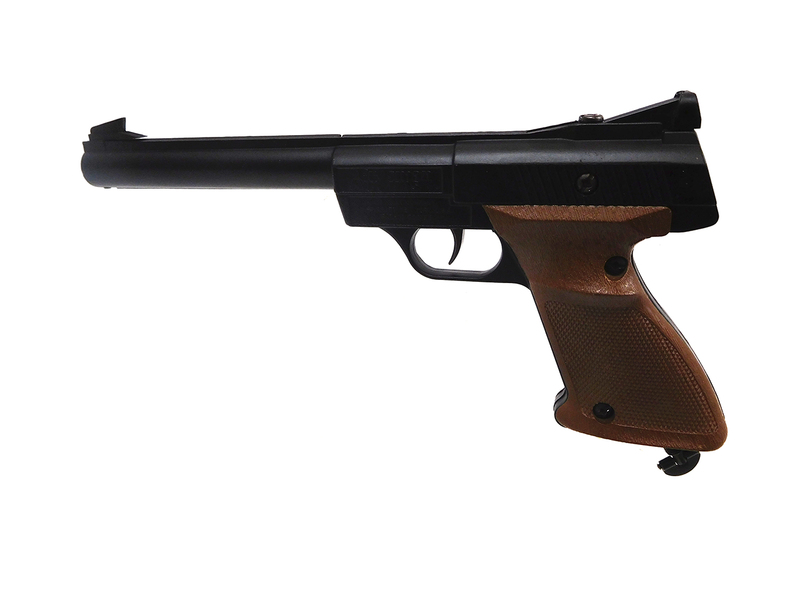 The Crosman 1600 BB-Matic is a C02 powered BB gun with one powerlet. 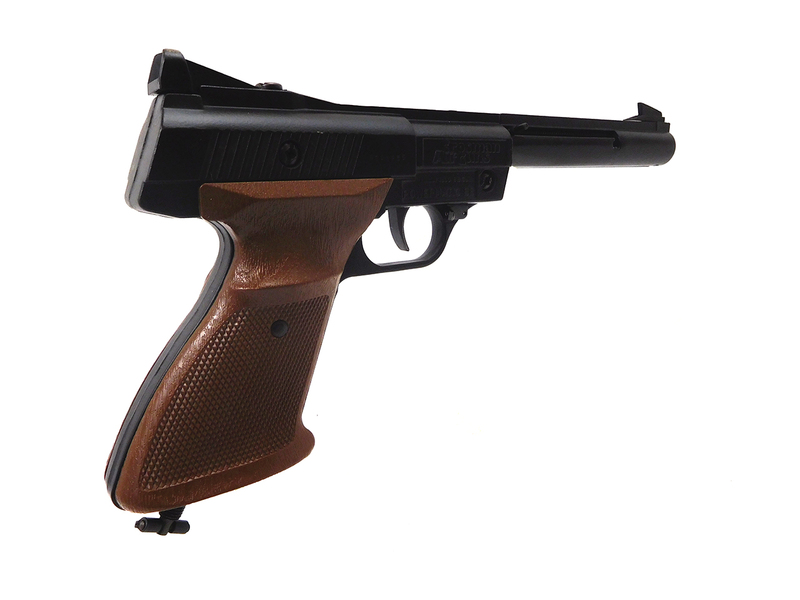 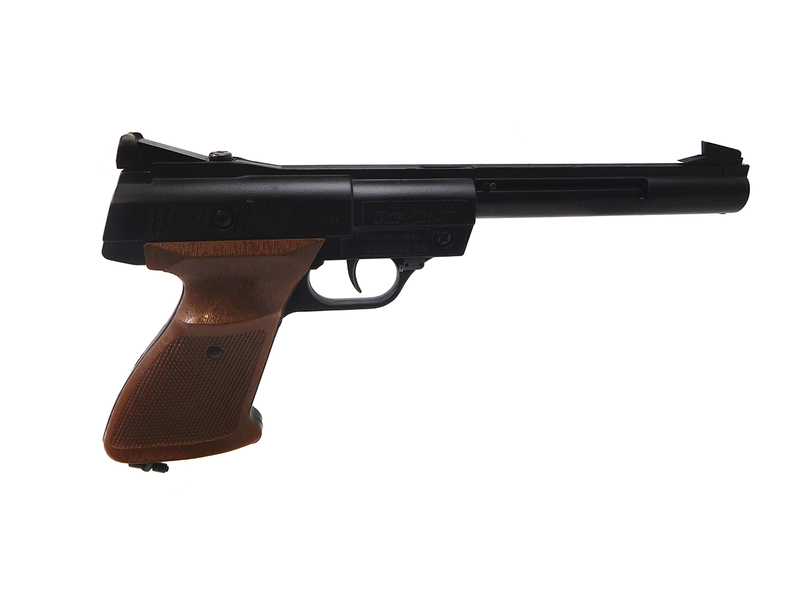 It’s a semi-automatic replica of the Colt Woodsman pistol, and features a seventeen shot spring fed magazine, plus fixed sites, and was manufactured in Spain between 1979 and 1990. 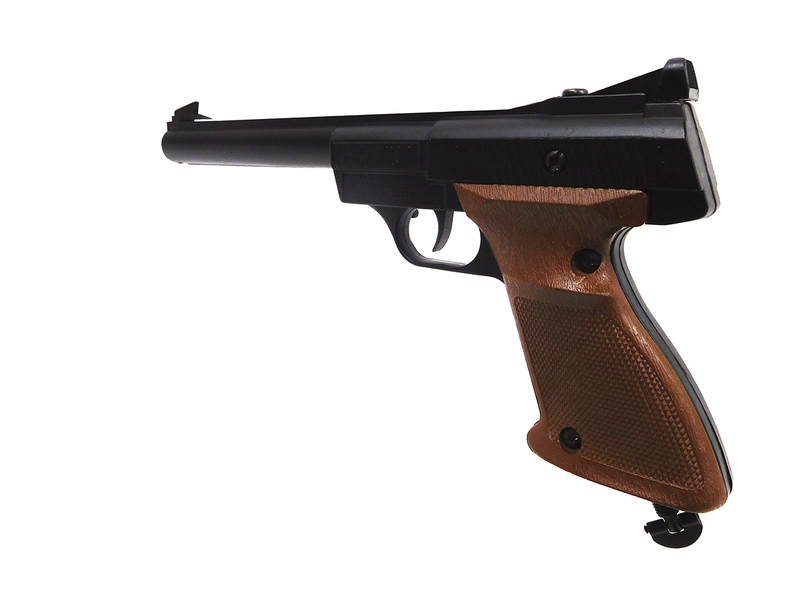 The BB-Matic is similar to the Power-Matic, but has a flathead gas filler cap screw instead of a barrel shaped cap screw.